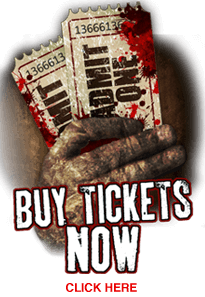 Zombie Toxin is the most lavishly detailed and terrifying Haunted House in Kansas! Zombie Toxin is the most TERRIFYING and LAVISHLY DETAILED Haunted House in Kansas! 9000 Sq Feet of terror under one roof! IT'S TIME TO SEE THE DOCTOR! Tickets are sold online or at our ticket booth. We accept CASH, DEBIT and CREDIT! Great detail and honestly very creepy! The actors go all out. And the set up is awesome! When you pull up you see a small building but When you get inside you enter a whole new world of horror! Worth every penny. I am a actor there and I enjoy every minute of it It's a experience you'll never forget... the doctor will find you and get you.. It was awesome. If I was a real scary person I would have been scared out of my mind. I love horror and I know what to expect. I loved it. Awesome job. I will be volunteering next year. It scared me so bad that I pissed my pants. It is one of the scariest haunted houses I been though in years!!!! !